The ArduinoOTA library for wireless updates (OTA) in Wi-Fi is also compatible with ESP32266, the ESP32266’s more powerful successor. It is integrated into the Arduino Core for ESP32 developed by Espressif (GitHub page of the project). It is not yet possible to install the development kit from the card manager. Since the SDK is still in development, the installation process depends on the machine on which the Arduino IDE is installed. It is now possible to use the password hash to further secure the remote update. Another novelty, it is now possible to update in Wi-Fi the SPIFFS memory area. Before starting the installation, exit the Arduino IDE. Then, to install the development kit on your MacOS, Windows, Linux or Raspberry Pi, follow this previous tutorial. Once the SDK is installed, you can restart the IDE. In the current version, the kit supports generic cards (ESP32 Dev Module up to 4MB), and several manufacturers’ cards known as the new Wemos LoLin32 presented recently. 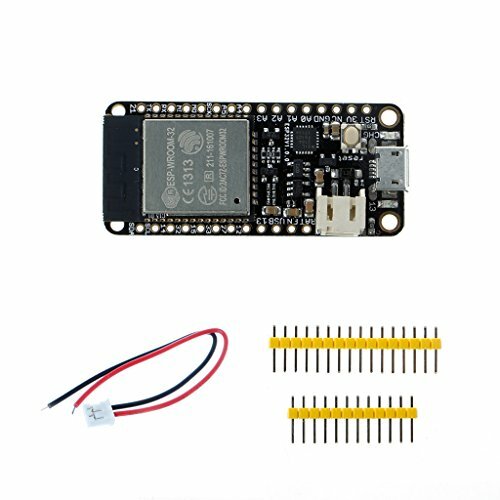 Electronic SweetPeas – ESP320 16MB ? To bring up the sample menu, select your ESP32. Generic cards are very well supported by the SDK. From the menu, select the example basicOTA. The code differs very little from that of the ESP8266 cards. SetPort: by default the communication port is 8266. It is not very useful to change it unless it is already in use. For example, for a project integrating UDP communication. SetHostname: This is probably the most important option. It allows you to assign a name to the ESP32. This machine name will be broadcast over the network and retrieved by the Arduino IDE. If you have a lot of objects on your network, it will be much easier to identify it by name than by an identifier built automatically from the serial number. SetPassword: used to request a password from the Arduino IDE before running an update. Practice if you work at several or in a school. SetPasswordHash: allows you to store the password fingerprint for added security. See below to learn how. Finally, for everything to work, it is necessary to call the ArduinoOTA.handle() method in the loop(). Before reversing the program, change the ssid variables (Wi-Fi network on which the ESP32 will connect) and password (network password). The ESP32 is much more secure than the ESP8266 (read this article for more information), it is possible to store the hash of the password in place of it. To create your password fingerprint, you can use an online generator such as this one. For example, the hash of the admin password will give the fingerprint 21232f297a57a5a743894a0e4a801fc3. Please note that some online generators are not recommended … Do not use the admin password! Then, use the setPasswordhash function instead of setPassword () to specify the authentication password. 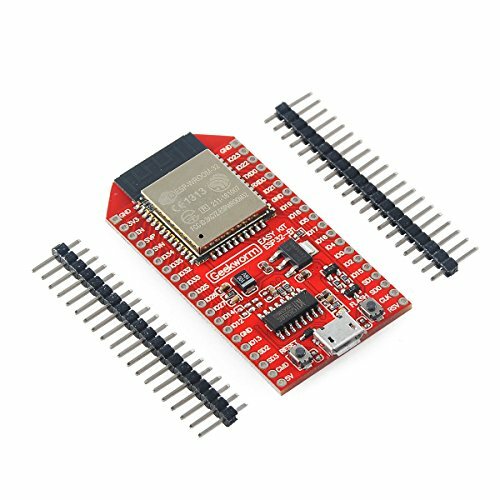 Upload the program and open the Terminal to verify that the ESP32 is properly connected to the Wi-Fi network. The Arduino IDE automatically detects devices that support remote update. They are added to the list of ports in a new section called Network ports. It seems that version 1.8.x includes a bug that prevents the devices from updating. If your ESP does not appear a few seconds after starting the ESP, just restart the Arduino IDE. The remote update (or failure) of the remote update can be tracked directly from the Arduino IDE. The SDK is still in development. During the tests, I had to enter the password twice before successfully updating.